Carla Daniel Turner is recognized as Director of the Year for the Southern Territory by Major Terry Israel(R) and Lt. Colonel John Mikles. Planned Giving Director, Buddy Graves and Regional Planned Giving Director, Melody Duggan receive the Commissioner’s Award for Excellence for each raising over $1 million in 2016. 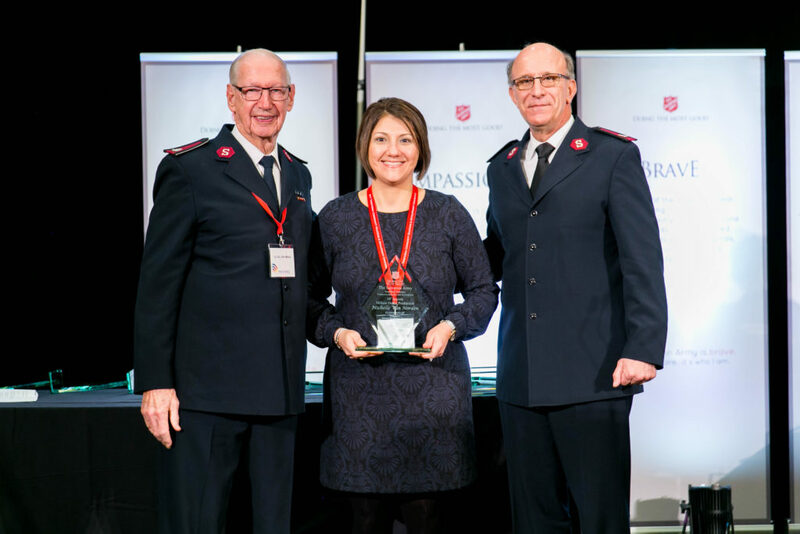 The Alabama, Louisiana, Mississippi Division of The Salvation Army was recognized in February for their fundraising efforts in 2016. Our Resource Development Department came in second in the territory with the most production. This is absolutely incredible. In fact, this has NEVER happened before. Michelle Van Norden- Received $2.5 million cumulative production award and is now a member of the 10/6 society which means Michelle raised over $1 million in 2016. Congratulations Michelle! Carla Daniel Turner- Received The Director of the Year Award for the Southern Territory. 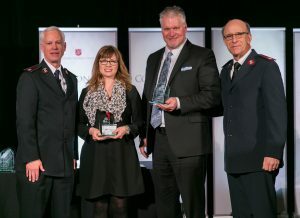 This award is given annually to the person identified by the leadership and/or a committee of peers who is perceived to have personified the best attributes of our group by generating the most percentage of increase over their goal or by providing the teamwork aspects to allow their team to achieve its best work. This is one of the most prestigious awards a director can receive. This will be Carla’s second time receiving this award. Way to go, Carla! The Planned Giving Department raised over $4 million . They received the divisional achievement goal award. 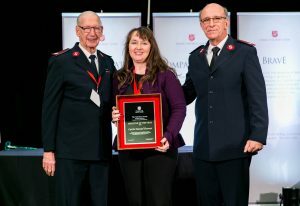 In addition Melody Duggan and Buddy Graves received the Commissioners Award of Excellence for both goal achievement and cumulative gifts for $1,000,000. Great work! !